Alan Shawn Feinstein, founder of the Feinstein Foundation and nationally-known Rhode Island philanthropist and humanitarian, is the subject of a new documentary, Feinstein Leaders of Tomorrow. His tireless crusade to inspire leadership and promote community service among youth has made an indelible impact on American education and the field of public service. From his Feinstein Junior Scholars good deeds program in elementary and middle schools, to establishing college and university areas of study to end world hunger, as well as degree programs in community service, Mr. Feinstein’s generosity and energy are legendary. Mr. Feinstein hosts a short program Our Great Kids! on Rhode Island PBS each week. The 3-minute visits celebrate the good deeds performed by schoolchildren - the Feinstein Junion Scholars. Mr. Feinstein names the schools, the teachers, the children, reads their correspondence, and lavishes praise for their public service. Our Great Kids! airs on Sunday mornings at 10 a.m. The videos are also available after broadcast on the Rhode Island PBS YouTube channel. On Thursday, February 6 at 8 p.m., Rhode Island Classroom explores three new stories about the latest technology, lessons, and personnel who are making the grade in Rhode Island Kindergarten through grade 12 classrooms. The 30-minute quarterly series is hosted by Margie O'Brien. Resilient Kids is an independent, secular program brought to inner city schools in Rhode Island that teaches students tools to cope and deal with life’s challenges. Innovative and adaptive Yoga and Mindful Practice are two of the approaches used in helping to empower students and increase self esteem and self awareness. Margie and crew visits three different elementary schools and talks with students, teachers, and school officials, who have embraced this practice wholeheartedly. Kids “love their yoga” and have learned how to “take deep breaths in a difficult situation to calm down.” Teachers love the universal language Resilient Kids has brought to their classroom and the peace it has created. How To Get In To College and Pay For It – Margie hosts a round table discussion with professionals about how students are “standing out” on their college applications, how schools go about choosing an incoming freshman class, and how families can afford to pay for an education. Joining the conversation are Anne-Marie Flaherty, a guidance counselor at East Greenwich High School, Cynthia Bonn, dean of admissions for University of Rhode Island, and Catherine Capolupoas, vice-president for enrollment management at Roger Williams University. Getting your GED –as if it wasn’t challenging enough already. As of January 1, 2014, the GED test has taken on a whole new look and is more costly. Applicants will only be able to take the test online and will now pay $120 as opposed to the old fee of $55. Margie talks with a class of students at Dorcas Place about the changes and what they’re doing to prepare to pass the new GED. It's been five years since Rhode Island Stories first gathered the neighbors 'round the TV for great local storytelling under one canopy. Rhode Island PBS marks the fifth anniversary of Rhode Island Stories on Saturday, February 1 by airing specially chosen local programs from 11:30 a.m. to 8 p.m. In the five years since we launched Rhode Island Stories, together we've explored lighthouses and fun houses, baby brains and Baby Roger the elephant, glimpsed life behind the hedgerows and peeked through fingers at haunted woods, felt the warmth of healing hands and cheered the grit of cancer survivors. Rhode Island Stories is a weekly story hour about people, places, and events with a Rhode Island connection - little stories that leave a big impression. In addition to showing documentaries that define Rhode Island Stories, we're pleased to add to the February 1 line-up local stand-alone productions that showcase local talent. Throughout the day, these local independent producers will share their "behind the camera" perspectives and what it means to them to be able to share their stories on Rhode Island PBS. Join us for this sample of local content available on Rhode Island PBS, with the promise of much more to come. 11:30 a.m. - Teenage Critic - This group of Rhode Island teens examines all kinds of cool stuff in and around our state. The show is by teens for teens (with a little help from grown-up director Lara Sebastian). Airing at its regular time on February 1, each week is an amazing 30-minute journey. Noon - Rhode Island Classroom #102 - Margie O'Brien hosts this dynamic quarterly series that takes a look at what's going on in local schools. This episode's segments focus on technology in the classroom; the RISE program, offering scholarships and mentoring to children with incarcerated parents; and how our schools are dealing with food allergies. 12:30 - URI Today - Baby Talk: Unlocking the Secrets of the Baby Brain takes an intimate look at the work of Mary Sullivan, interim dean of URI’s College of Nursing, who is spearheading the longest running U.S. study of premature infants, spanning more than 20 years. 1:00 - "Some Kind of Funny Porto Rican?" Claire Andrade-Watkins worked for over ten years to tell the history of her beloved Cape Verdean Fox Point section of Providence, Rhode Island. 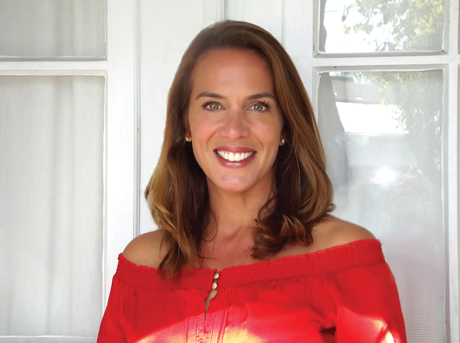 Full of childhood memories, textures and sounds of the 1950s, 1960s and early 1970s, Some Kind of Funny Porto Rican chronicles her community's music, ties to the old country, and the maritime/seafaring traditions, in the Port of Providence. Three generations of Cape Verdeans were born and raised in this tight knit neighborhood that stretched along the waterfront. But the story is also of tragedy and scandal as this vibrant community of immigrants was forcibly displaced by urban renewal in the 1970s. 2:00 - Island Nurse is the story of Mary Donnelly, the public health nurse and heart of Block Island, RI, who, after more than 54 years of nursing, finally hung up her stethoscope and put away the thermometer and bandages for the last time in May 2013 when she retired from state public health service at age 86. 3:00 - Mimi Sammis: Sculpting Peace is a documentary about the life and work of world-renowned Narragansett, Rhode Island, artist and peace activist, Anne Mimi Sammis. The documentary traces the artist's journey over the last three decades, illustrated by archival footage of significant events in Mimi's career. 3:30 p.m.- Maple Syrup In Rhode Island features Bill Livingston in his "sugar shack" making the first syrup of the year. He has been making maple syrup for close to fifty years, and he shares his expertise about the maple syrup process, from tapping the trees to bottling the syrup. 4:00 - Haunted RI: The Legends of Dolly Cole returns to the dense forests that line Tucker Hollow Road and Ramtail Road in Foster. Of all the reports of hauntings by dead mill workers and plague victims, no name has earned itself more prominence - and confusion - than that of Dolly Cole. She was a witch, a vampire, a murdered prostitute who dressed in men's clothing... She lost her daughter - or maybe it was a son - in a fire set by neighbors afraid of this Witch of Foster. She was murdered in the woods at age 27; she drowned in the stream near her house; she is the “Woman in White” seen by hunters, fishermen, and local residents for years, most of whom are reluctant to speak of the experiences above a whisper. The team, in the company of Andrew Lake and Thomas D'Agostino, attempt to sort out the legends of Dolly Cole. 5:00 - New England Portraits: Rumford Baking Powder Company -The Rumford Baking Powder Company is one of America’s earliest entrepreneurial successes. 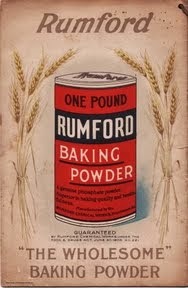 Archival photos and the reminiscences of former employees tell the history of the manufacturing source of the familiar staple in every cook's kitchen: a tall red tin of Rumford Baking Powder. No longer the manufacturing powerhouse that shaped Rumford Village, Rumford Center is now reshaping itself, through adaptive reuse as a community of apartments, offices and shops. Filmed in 2008. 5:30 - Guitar #1711 is a documentary film about Rhode Island guitar maker Otto D’Ambrosio, directed by Rhode Island-based filmmaker Guy Benoit. The film is an intimate and lyrical portrait of the artistic process, following D’Ambrosio through the creation -- start to finish -- of an acoustic archtop guitar, hand made for renowned jazz guitarist and Berklee College of Music Instructor Julian Lage. The film culminates with a live concert performance by Lage, playing guitar #1711. 6:00 - Covered Bridges of New England captures the vanishing architectural gems that once proliferated the New England Landscape. 7:00 - WaterFire: Art and Soul of a City takes audiences behind the scenes of one of the world's most extraordinary nighttime events. This beautiful, compelling documentary produced by Joe Rocco and filmed by Jim Karpeichik in association with WaterFire Providence tells the story of WaterFire through insightful and amusing commentary from WaterFire creator and artist Barnaby Evans, several participants and volunteers, local historians, and passionate fans from around the world. Calling Young Authors: Send Us Your Best Stories! Children in Kindergarten through 3rd grade are invited to write and illustrate a story and submit that story to the Rhode Island PBS Kids Healthy Living Writers Contest presented by Corner Bakery Cafe. The local Rhode Island PBS contest started January 27 and continues through March 21. Entries will be judged and winners chosen from in each grade, so there will be four first place winners. Winners and participants will be honored during an awards celebration in April. Local winners will be entered into the national contest, which is judged in May and June. The theme for our 2014 contest is "Healthy Living" - a huge idea wide open to creative storytelling about any number of topics: food, cooking and nutritious eating; planting, gardening and farming; sports and physical activity including adventures in nature; healthy and safe choices and habits. These are just a few general ideas - we're confident your child will come up with several more before choosing just the right story to tell. To make participating and entering the contest more fun, we are collaborating with the YMCA of Greater Providence, libraries, after-school programs, schools, and other organizations where children gather. Ask your local librarian or organization leader if they would like to coordinate a small group of students to work on stories for submission. All children in grades Kindergarten through Grade 3 are welcome to enter! The place to go for information and to upload your child's entry is ripbs.org/kidswrite. There, you will find general rules, fun and creative brainstorming and writing resources you can download and print out, and an official entry form. Plus, if a little inspiration is needed, last year's national winning entries are available at pbskids.org/writerscontest. Al Verrecchia – chairman of the board, Hasbro, Inc.